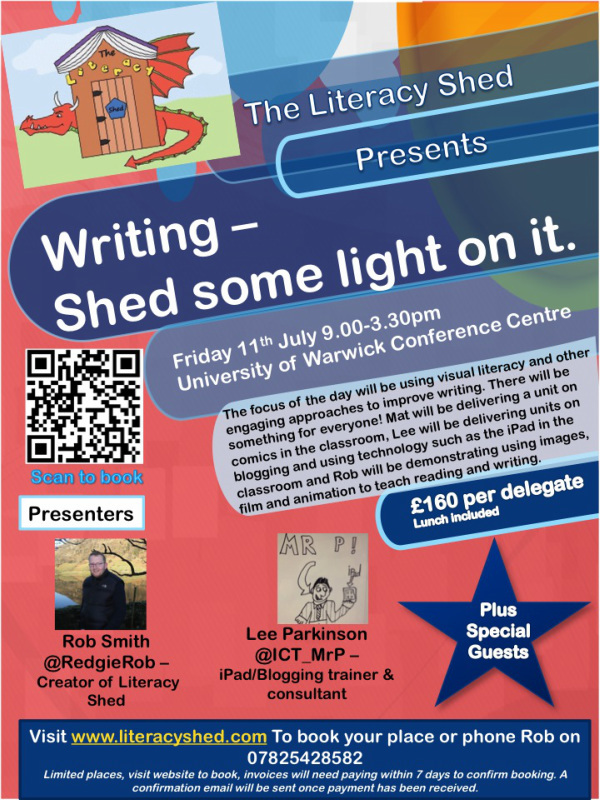 NEW CONFERENCE - LITERACY SHED MIDLANDS - FRIDAY 11th JULY - University of Warwick Conference Centre. Fill form below or phone Rob on 07825428582 to book a place. Group and NQT/Student discounts available.